Baijiu ( 白酒 ), China’s national liquor gets a toast from Spice World Hot Pot ( 香天下火锅 ), the latest Sichuan hot pot franchise to hit Singapore. A collaboration with the Singapore China Baijiu company and Spice World Hot Pot, top Chinese Master Taster Ms Xu Huan hosted key journalists in the appreciation of three of China’s most popular Baijiu brands - Moutai, Wuliangye and National Cellar Guojiao 1573. 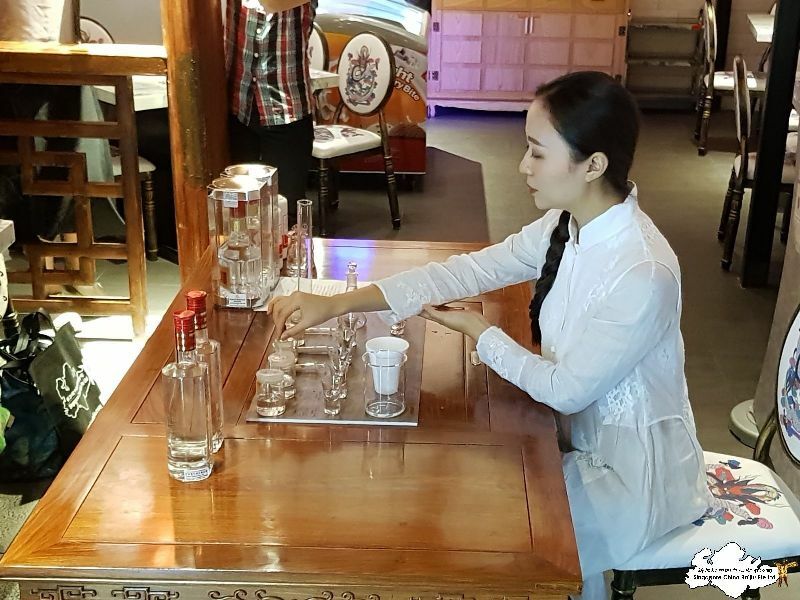 The masterclass session also included a DIY Baijiu segment whereby journalists got to create their own liquor using individual distilling kits. Baijiu, infamously known as Firewater, is distilled from sorghum and rice. Water, sugar and yeast are added to the ingredients and fermented in clay jars buried underground. It is then distilled and aged for anywhere between six months to years, sometimes even up to 50 years. Baijiu is commonly consumed during festivals, weddings, celebrations and business meetings. It is usually served neat in a shot glass and drunk in one gulp. Toasting rituals or Ganbei (cheers) accompany every Baijiu drinking occasion. Spice World Hot Pot stocks a full range of Baijiu. Hot pot being a communal dining experience makes Baijiu a perfect drink accompaniment for any group gatherings. 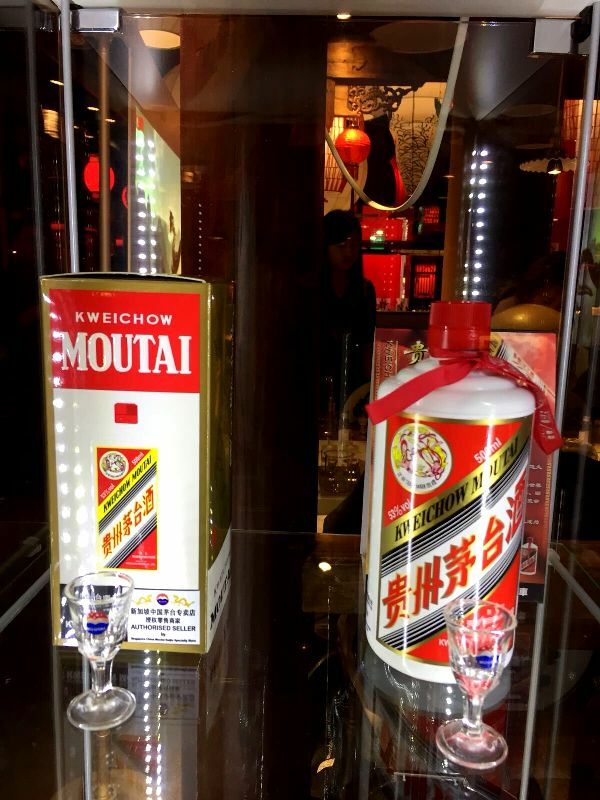 In conjunction with Singapore’s National Day which also falls on the same day as World Baijiu Day, promotions on Baijiu will run for the month of August and that includes Moutai at SGD 329 ( usual price SGD 369 ), Wuliangye at SGD 329 ( usual price SGD 369 ) and National Cellar Guojiao at SGD 299 ( usual price SGD 329 ). Additionally, every diner stands a chance to win a free meal if they draw their table number from Spice World’s lucky draw box. 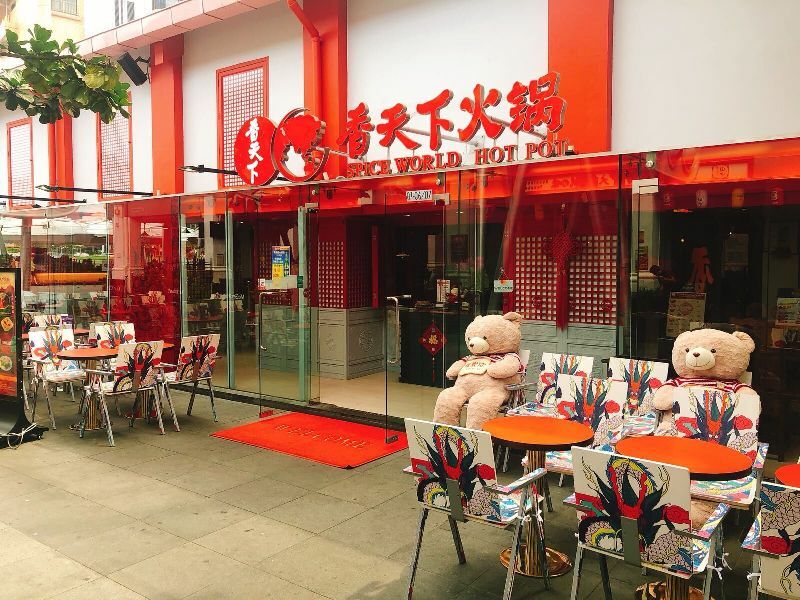 To further encourage imbibing, Spice World Hot Pot has redesigned their outdoor patio with custom-made tables and chairs from China, specially curated for more conducive drinking and chilling especially when there are long queues at the restaurant. I sipped this once when i was in China - didn't know this wine is so pricey. It's really very strong, i only sipped once and that's it.... think drinker would love it. This hot pot place surely look like a place for group gathering. Ooooh. Must be good liquor. Looks like a fun spot to gather! I haven't tried it, but it sounds like an interesting drink. It has been a time..overbusy with my translations work! And also writed a book,maybe it will be published on next month..
Never tried it, but looks nice! What a clever concept they have to place the tables and chairs outside! I love the ambiance. What a fun concept!